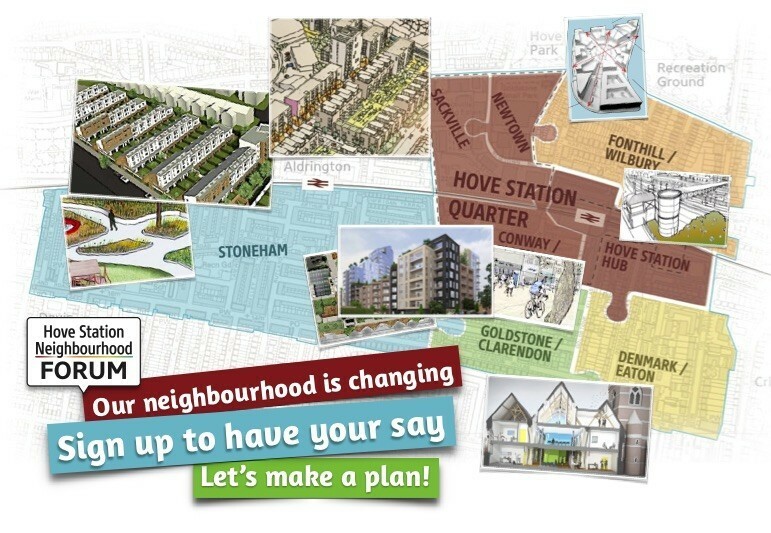 We are now in the final stages of preparing the Hove Station Neighbourhood Plan and the regeneration of the Hove Station Area is gathering momentum. Come and find out how our community-led plan is responding to development pressures and tying it all together to ensure the whole is greater than the sum of the parts. What are the developers doing? KAP Motor Group are currently consulting the public on the redevelopment of the Peugeot Dealers site on Newtown Road next to New Wave – this includes both medium and high rise housing blocks, with a café overlooking a ‘pocket park’- a planning application is expected soon. What matters to you in our rapidly changing neighbourhood?